Print out detailed route plans for each walk. This includes GPS waypoints – which you can also download. 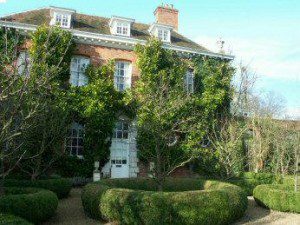 This walk takes you through bluebell woods and open fields to West Green House , with its garden full of follies and monuments and its tearoom and garden shop. The walk follows the River Whitewater for some of the way where it also passes a pub. 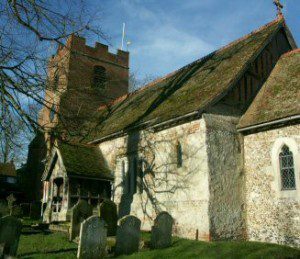 The walk takes you to Rotherwick, with its village duck pond and 13th century church as well as two country pubs. This walk takes you through woodlands over to Greywell (pub). 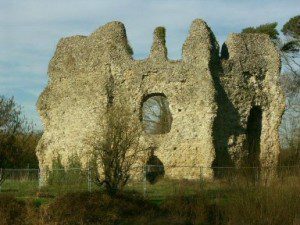 It then follows the Basingstoke Canal past King John’s Castle (13th century), to North Warnborough where there are two more pubs. It then comes back across Bartley Heath (another pub). The heath is a great place for wildlife including deer, the resident New Forest ponies, and many species of flowers and butterflies (summer) and fungi (autumn). 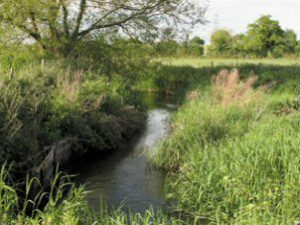 This short walk follows the River Whitewater for part of its course on a new path created in Bassetts Mead (near Holt Park). This chalk stream is rich in wildlife and you can sit by it and watch the ducks at the pub at the end of the walk. NOTE: All the walks can be muddy in places in wet weather. Suitable footwear is strongly recommended. 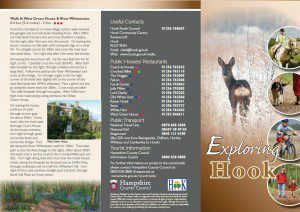 The Walking in Hampshire website has an extensive list of other walks in the county. The Walks with Buggies and Walks with Wheelchairs websites give more specialised information for those with particular needs.